Before a man becomes a Christian he has many false ideas about God's way of salvation. Spurgeon details these problems one by one and in the process helps not only seekers but doubting Christians too. It is out of fashion to be a seeker in our day. Any real interest in the Christian gospel is often mistaken for faith itself. The seeker's problems are driven 'underground', and he is treated as though he were a Christian when he is not. This book will help these 'almost Christians'. This booklet is a reproduction of chapter two of Ryle's book, Christian Leaders of the 18th Century. 1. The promise of duty. How does Christ make men ‘fishers of men’? Why are unconverted men compared to fish under water?In what ways are ministers fishers by office? 2. How may I come by this art? What following Christ supposes and implies? In which way is Christ to be followed? This is a classic explanation of the Puritan approach to evangelism that is also an encouragement for anyone explaining the gospel to someone else. One of the things that distinguishes humankind from every other species on earth is that we have a moral dimension. A moral law seems to be programmed into our psychological ‘software’ and our awareness of it is triggered by the conscience, a mysterious monitor that pokes its nose into every nook and cranny of our lives. Why should this be the case? Does our moral sense come from nature? Is it nothing more than a cultural phenomenon? Is personal preference the deciding factor? Have we any right to question another person’s moral choices? Are there consistent guidelines for deciding whether something is good or evil, right or wrong, just or unjust? Beyond these and other related questions lies an even greater one: can we ever find a solid and coherent basis for morality unless our world view has God at the very centre of it? This world is divided into two groups, those who know God and those who do not. Though there are many other differences between people, this is the greatest. To be ignorant of God has a profound influence on the way we think, work, and live our entire life; more still, on the way we die and what will happen to us after death. Maurice Roberts calls us to give our most serious attention to this vital issue. Plainly and clearly he explains the Bible's teaching about the importance of being saved, life after death, heaven and hell, and knowing what to believe. "For the earth shall be filled with the knowledge of the glory of the LORD, as the waters cover the sea" (Hab. 2:14). In 1658 the famous English preacher Richard Baxter wrote a book entitled A Call to the Unconverted, regarded by many as the greatest book on Christian conversion that has ever been written. It was translated into several languages and was thought to have been the means of bringing thousands of people to a living faith in Christ. Based on Baxter’s work, Invitation to Live has the same serious, earnest and urgent message. It pleads with the reader to be ruthlessly honest in examining his spiritual condition, tells him of God’s amazing love, and urges him to accept God’s invitation to receive the forgiveness of sins and eternal life. It also leaves him in no doubt about the alternative. Ever since humankind has lived on earth we have been teased or tormented by questions that seem programmed into our humanity. The most important go far beyond those that focus on the kind of issues millions face every day — marriage problems, financial worries, failing health, pain, loneliness, insecurity and depression. They ask such things as ‘Why am I here?’; ‘Would it matter if I had never been born?’; ‘Does life need to have any meaning?’; ‘How can I get real satisfaction?’; ‘Why should I believe anything?’; and ‘What happens to me when I die?’ Yet these questions eventually funnel into others that are even deeper: ‘Is there anything beyond “one” universe?’; ‘Are we biological accidents living for a blink of time in a vast and vacant cosmos?’; ‘Is there other (and greater) intelligence elsewhere?’; ‘Is there a theory of everything, or one reality that governs all the others?’ Then comes the ultimate question: 'Is anybody out there?' This booklet explores the issues — and points to the answers. Henry Scougal died in 1657 at the age of 27 but by then he was already Professor of Divinity at Aberdeen University. This timeless classic was originally written to encourage a friend and stimulate his spiritual life. It was so appreciated that it was later published as a book for a wider readership. A hundred years later a copy was sent to George Whitefield by his friend, Charles Wesley - it was instrumental in Whitefield's conversion. 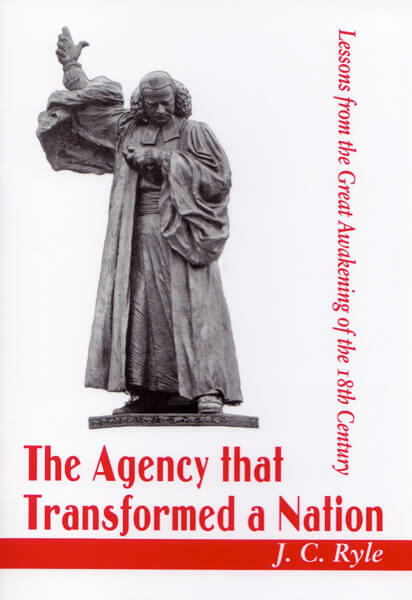 This book provided much of the stimulation behind the Methodist Revival of Britain and the Great Awakening in America. In it Scougal explains the four essential characteristics of divine life, their excellence, their advantages and the practical steps that you can take in realising them as your personal experience. This book has an extensive introduction by J.I. Packer and contains, as an appendix, the 'Rules and instructions for a holy life' by Archbishop Robert Leighton of Glasgow. Health, finance, family, the future... life is full of questions. There are deeper questions, too. Who am I? Why am I here? Where am I going? Does life have any purpose? But the ultimate questions are about God. Does he exist? What is he like? Can I know him and experience his power in my life? And if so, how? This booklet tackles these vital questions head-on... and answers them simply, clearly and directly. Read it carefully. It could change your life forever. A welcome addition to the Ultimate Questions family. Designed especially to fit in a shirt pocket or handbag with ease and comfort, easily accessible and ready to read! This 3" x 4" book with spine has a full colour glossy cover. The inside 64 pages are in black and white and include new updated images to accompany the original text. Where do we go from here? may become more widely used than anything John Blanchard has written since Ultimate Questions, which now has over fifteen million copies in print in fifty languages. The reason is obvious. Where do we go from here? is the final question all humanity faces, and this booklet tackles it head-on. Exactly what does happen to us when we die? The immediate future of the body is fairly obvious, but what about the spirit or soul? Is it annihilated or reincarnated? Is it conscious or unconscious? Do we face endless pain or endless pleasure? Is there a ‘second chance’ to put things right? Do we have to wait until after we die to find out? This booklet answers these and other questions biblically, clearly and in a user-friendly way. Here is an ideal resource to share with people who have no grasp of the Christian message.